This summer I’ll have the opportunity to be the assistant basketball coach for Team USA at the European Maccabi Games. It’s not often that great opportunities are presented to you, but this winter I had one that was too good to pass up. 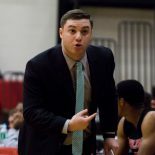 Vassar head coach BJ Dunne sent me a message on Twitter asking if I would be interested in working with him in coaching the Maccabi USA men’s basketball team this summer. There were a number of specifics that had to be worked out and the conversation immediately moved to phone calls and texting and face-to-face meetings, but there was no doubt that I wanted to be a part of this. Coach Dunne offered me the assistant coaching spot for this team and I accepted. 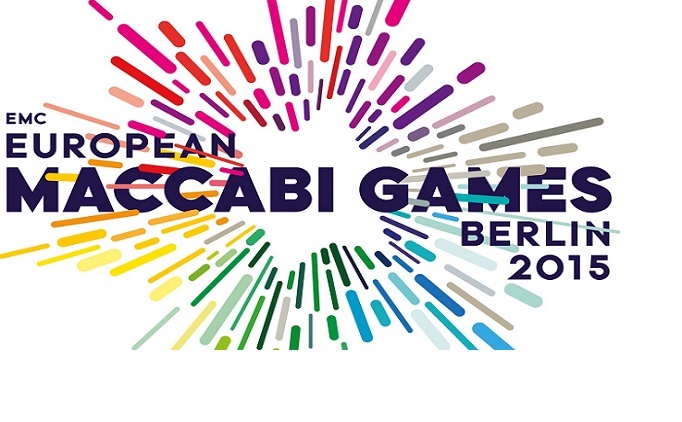 Our team will be competing in the European Maccabi Games from July 27 to August 5 in Berlin, Germany. We will face Israel in our opener and host-nation Germany in our fourth and final pool-play game. Representing the United States in the Open Division (ages 18-35), is certainly a tall-task, but Coach Dunne and I put together what we consider to be an extremely strong 12-man roster. We have five Division I players, six Division III players and one player currently playing professionally in the German A League. Having players from all over the country makes organizing and uniting them a difficult task, but everybody will converge in New York, at Vassar College, for our training camp on Tuesday, July 21. We will hold a rigorous five-day camp before flying out to Germany on the 25th. In that time we’ll practice hard, install our offense and defense and at different times bond as a team through go-karting, baseball games and other activities. Coach Dunne and I have put together our offensive and defensive systems and playbook already. We have planned for the adjustments from NCAA basketball to FIBA basketball rules and believe we have a gold-medal plan in place. I’m extremely excited and prepared for my role as the assistant coach, readying everything I possibly can to make sure Coach Dunne and the squad are ready. The schedule for the Open Men’s Basketball competition. While being able to coach high level players and test our might against other countries is so much of the appeal, I also cannot wait to immerse myself in the culture, food and experiences in Berlin. I have never been to Europe and using basketball as a tool to expand my mind and experiences makes me very lucky. Having the opportunity to meet impactful people from halfway across the globe and to see and learn about the concentration camps and what life was like for Jews like myself in Germany over 50 years ago is something that I would never get from just sitting at a summer camp evaluating talent. In 2006 I played baseball at the Maccabi Games in Richmond, VA for the Metrowest (NJ) JCC. We lost all five games we played and were actually mercy-ruled in every single one. The cumulative score from those games was somewhere in the range of 70-5. I’m looking forward to late July for a chance to reverse those results at the European Games, this time on a bigger stage. A chance for redemption, high level basketball, new cultural experiences and great people. Not more that you can ask for as a basketball coach. Be sure to follow our Maccabi USA Open Men’s Basketball team on both Twitter and Facebook as the games approach. We’ll have updates from training camp and photos and daily news from Germany during the games. This entry was posted on June 14, 2015 by Coach Sass in Coaching, Miscellaneous.